If you have lost your job within the past sixty days, the obvious choice is Affordable Care Act insurance. 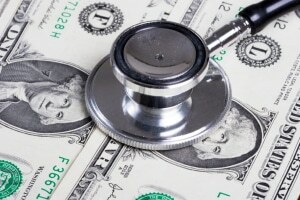 Affordable Care Act insurancecosts less than half that in most cases! Affordable Care Act insurance instead of COBRA health insurance! Affordable Care Act Insurance Usually Costs WAY LESS. COBRA is Usually Expensive. Affordable Care Act insurance Has Several Plan Choices. COBRA – No Choices Here. Affordable Care Act Insurance Plans are High Quality COBRA Quality? Maybe Yes/Maybe No. Affordable Care Act Insurance Can Be Renewed. COBRA Cannot Be Renewed. Affordable Care Act Insurance Has Grace Periods. COBRA Doesn’t Have Grace Periods. Affordable Care Act Insurance is Dependable and Enduring. COBRA Can End Suddenly and Does Terminate. to apply for Affordable Care Act insurance. Don’t Wait – You Only Have 60 Days!! Have you or your family lost health coverage due to recent unemployment? You don’t have to go without health insurance! Even if you have lost your employee health benefits, you still have coverage options available to you. The one you may be most familiar with is COBRA; however, for many selecting a health plan under The Affordable Care Act will be the more affordable option. COBRA stands for the Consolidated Omnibus Budget Reconciliation Act. COBRA is a law that was was passed in 1986 to help people who are terminated from their job, whether voluntarily or involuntarily, to temporarily keep the exact same health care coverage they had under their employer. It’s important to note that COBRA coverage only provides for continued coverage of your existing plan and does not allow for you to choose to switch to a different plan. Unlike with COBRA insurance, Affordable Care Act insurance offers those who have recently lost their job several plan choices. COBRA coverage can be costly. You must usually pay the full cost of coverage for you and your family, including any portions of your premium your employer may have previously been paying, as well as an additional 2% administrative fee. For many, Affordable Care Act insurance may offer a more cost effective option, especially for individuals and families that qualify for subsidies to help cover part of the cost of premiums. Don’t get stuck with a pricey COBRA insurance plan. Explore your options and you just might find a much more affordable and comprehensive insurance plan offered under The Affordable Care Act.